Kamila Cieslik, a High School junior from Tennessee committed to play for the Rutgers University Women’s Volleyball Team on February 22 after visiting in New Brunswick with Coach CJ Werneke and Equine Science Director Dr. Karyn Malinowski. 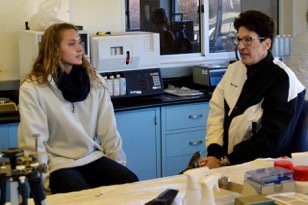 Cieslik and Dr. Malinowski (pictured below) spent time touring the Equine Exercise Physiology Lab and discussing what the equine science program had to offer during Cieslik’s trip to Rutgers. 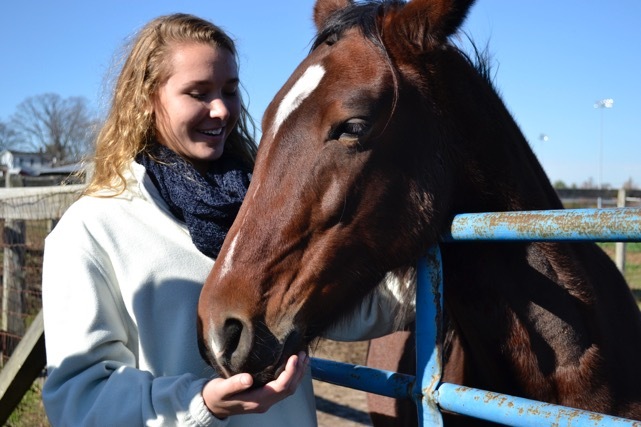 After visiting Clemson and West Virginia, which both have equine science programs, Kamila choose Rutgers because in her opinion it has the best equine science program. The Center looks forward to working with Kamila in the future, and Dr. Malinowski (who played volleyball in high school) looks forward to attending Kamila’s first game in the Big Ten.